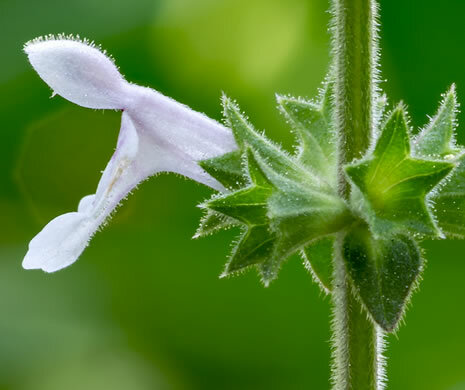 The central lobe of lower corolla lip nearly rotund, per A new hedge-nettle (Stachys: Lamiaceae) from SC (Nelson & Rayner, 2014). 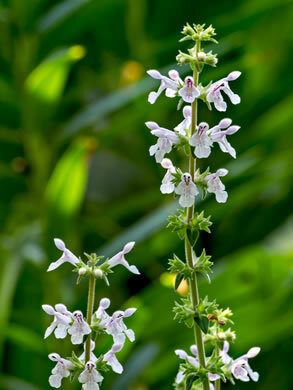 Lower corolla lip declined up to 90 degrees from tube, to 7mm long, per A new hedge-nettle (Stachys: Lamiaceae) from SC (Nelson & Rayner, 2014). 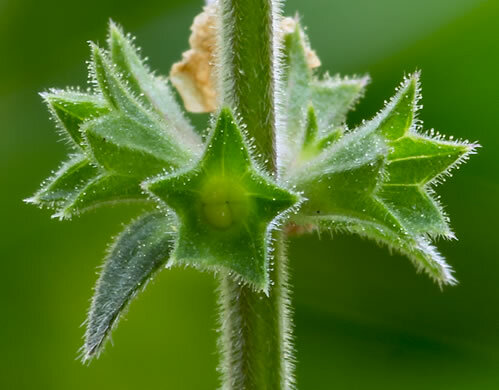 Calyx densely short-soft pubescent with abundant delicate, stipitate glands, per A new hedge-nettle (Stachys: Lamiaceae) from SC (Nelson & Rayner, 2014). 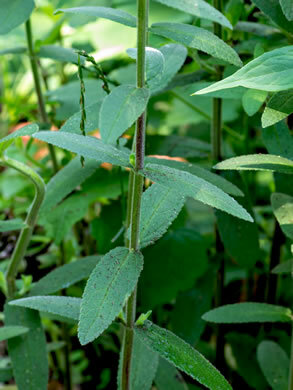 Midstem leaves generally largest, rounded to truncate at base, spreading, per A new hedge-nettle (Stachys: Lamiaceae) from SC (Nelson & Rayner, 2014). 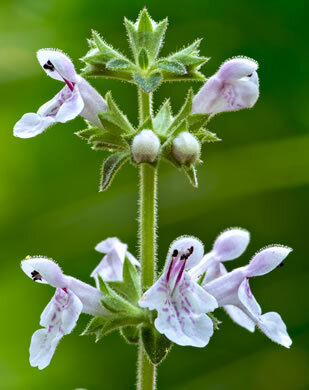 Stems strictly erect, to 0.5m tall (occasionally branched at lowest node), per A new hedge-nettle (Stachys: Lamiaceae) from SC (Nelson & Rayner, 2014). 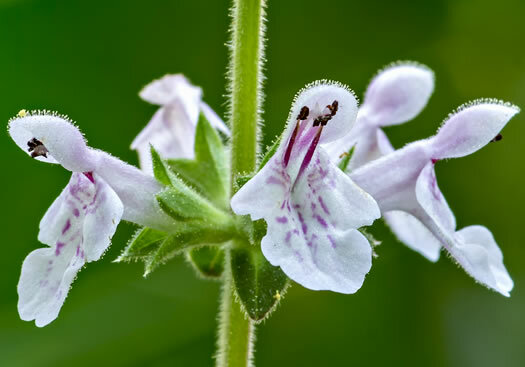 Bracts reduced upward, lowest lanceolate, progressively trullate to ovate, per A new hedge-nettle (Stachys: Lamiaceae) from SC (Nelson & Rayner, 2014). 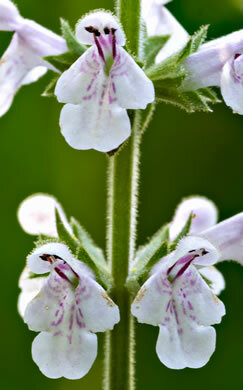 Axillary cymules each with 3 flowers, the verticils thus 6-flowered, per A new hedge-nettle (Stachys: Lamiaceae) from SC (Nelson & Rayner, 2014). 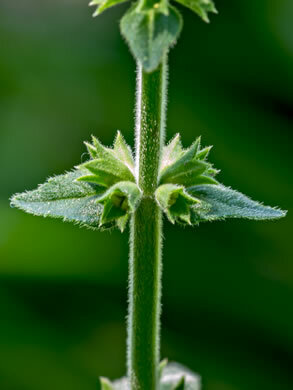 Note dense, short, uniform stem pubescence and relatively short calyx lobes, per A new hedge-nettle (Stachys: Lamiaceae) from SC (Nelson & Rayner, 2014).